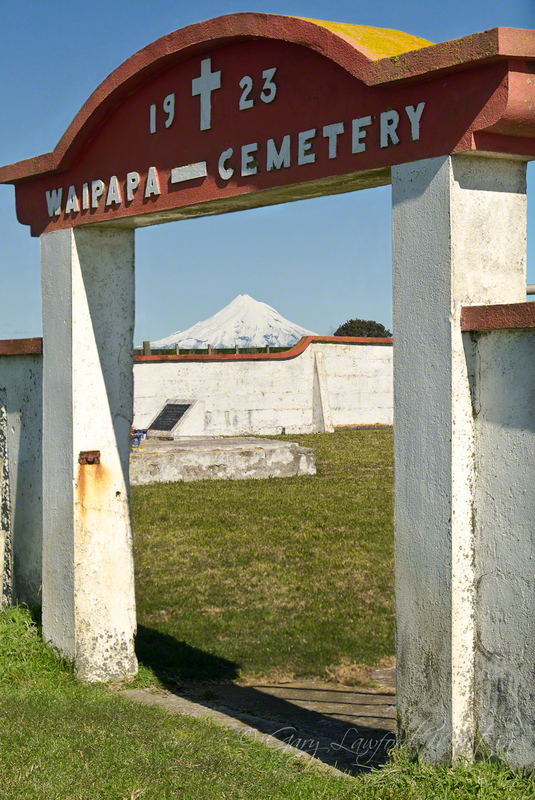 Waipapa Cemetery is a few kilometres north of the seaside township of Waitara in New Zealand’s Taranaki region. One of the older remaining marks from last century, here shown with the far distant Mount Egmont under the arch. Imported into Lightroom 3.6 for exposure and light adjustments and first pass sharpening. Three images blended for depth of field focus from close to the arch to Mt Egmont in the far distance.